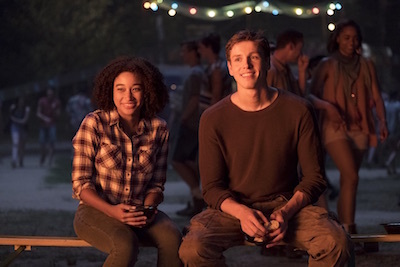 #BeenToTheMovies: The Darkest Minds - interview with producer Shawn Levy, director Jennifer Yuh Nelson and star Amandla Stenberg. The Darkest Minds - interview with producer Shawn Levy, director Jennifer Yuh Nelson and star Amandla Stenberg. THE DARKEST MINDS stars Amandla Stenberg, Mandy Moore, Gwendoline Christie, Skylan Brooks, Miya Cech and Patrick Gibson, and is adapted from Alexandra Bracken's bestselling series of novels.